I’m starting to get a little discouraged. I have been running every other day for almost two weeks. Started the c25k program and making much, much better choices in my diet. I have completely cut out soda and drinking a ton of water. The scale is not budging at all…. I go up and down about two pounds. That’s it. Ugh!!! I recommend reading Jeff Galloway’s take on weight loss with running. Have you checked inches? My scales don’t move a lot of times, but when I started running more I noticed my inches were going down. Trading muscle for fat. Muscle is smaller than fat, so while the scale may not be moving, you may be getting smaller still. Basically, don’t get discouraged, especially if you’re just starting out. Change takes time. I’ve dropped 6 sizes and still haven’t dropped much as far as weight goes (because I’m replacing fat with muscle). Like others said, it takes time. I posted a picture somewhere of a years progress. You can see a difference, but it did take a LONG time. Just keep doing what you’re doing and try not to think about it, then after a couple of months do the side by side comparison. Be sure you are eating healthy fats such as whole eggs, coconut oil, grass fed beef and dairy, ghee. No low fat foods. use only honey or maple syrup for sweetener. No processed foods. Hard changes, but results will come quick. Amy I feel the same way…I decided to write down everything I’m putting in my mouth and I was SHOCKED!! Now I’m thinking…no wonder I haven’t lost any. Lol. Sometimes when we see it on paper it is a whole lit different than what we think were doing. Good luck honey and we are in the same boat. Don’t get discouraged! Its people like you that keep us going. You can do this and so can I. We can do this together!!!!! I just went through Basic training in the Canadian Armed Forces. Everyone there knew that the magic week where you saw a huge difference (and took a selfie to post on Facebook lol), was Week 10. So just stick it out. Take measurements! Inches lost matter way more than pounds, anyways. I have been over 200 and know what it means looking at the scale, but when you start seeing that tape measure go down it’s even better! Good luck! Take a front and side picture of yourself. Also take measurements. Then do it again in 10 days. You will see changes even if the scale doesn’t move. I was running consistently for 3 months before I saw the scale move in my favor. It takes time. I tried to focus on how I felt in my clothes – after a month or so of running I could tell my clothes were fitting better. Give it time, you are building muscle mass, make sure you are “eating” those extra calories just because you ran. I will do gain a little when I increase exercise, then I will begin the losing streak, then I will plateau and that’s when I have to change it up again. Just keep up all the good work, it will happen! One of the biggest mistakes is comparing yourself to others. Keep at it, soon you’ll start to feel the changes in your clothing. I swear I think my scale hates me because the darn thing hardly moves off a certain number and like you, when it does, it’s only by a few pounds. What keeps me going is that I feel healthier and I look toner. Keep it up and give yourself time and don’t be too hard on yourself. My fitness pal.com app is great for keeping track of cals and exercise, i learned a lot about different foods and portion sizes, plus it rewards you for choosing good foods, and you can scan many bar codes on foods as it adds it all in for you. No guessing. Many restaurant and coffee places too. It taught me to drop the lattes (and drink black coffee)as i didnt know how many calories, sugar and fat they really were. You can can net it with FB and FB friends and it talks to map my run app. It doesn’t announce it on FB though thank GOD. I love it for staying on track. When I first started, I gained weight. Remember; 1 cup of muscle weighs about the same as a cup and a half of fat.If you are running and not losing, then you are replacing fat with muscle. Hold in there. I haven’t lost anything yet except maybe 2 in.. I’m so tired of 215.. … But I keep going .. Cuz I know if I give up.. Well.. Let’s just say good year blimp won’t have nothing on me..
Lol give it 6 months. Don’t work out with losing being your focus, work out with wanting to be better and healthier as your focus. It helps trust me. But usually you won’t see a huge jump in weight till month 6 of your reg routine. It’s not about numbers. It’s about pinching your skin and what you feel under your skin is hard, not soft. I would say that 2 weeks really isn’t enough time to see any dramatic results. You may also be gaining muscle from running while also losing fat. For me, the number on the scale hasn’t really changed in months but my clothes fit looser and I’m seeing more muscle definition and I have more energy during the day and sleep better at night. Hang in there! hang in there honey!!!! I started running again 3 mos ago, healthier choices, yada yada yada….and I’ve GAINED 3 lbs!!!! BUT my calfs look longer/leaner and my thighs are smaller so I’m finally seeing my body making the changes that I want. let’s face it, we didn’t get this way overnight, we’re not going to lose it overnight either. as my doctor AND trainer told me, “DON’T focus on the scale, that’s just a number. Do it to for yourself, do it to feel better, do it to be healthy and the pounds will drop off when we stop watching them. Tracking your food intake definitely helps..as well as ensuring your are bother eating enough calories but nor too much bat the same time. For me, tracking with myfitnesspal and adjusting my calories..increasing actually..was key. All of a sudden scale was dropping. Maybe this is all coming from the wrong direction. I said that I gained weight when I started running. What kept me running was picking a goal other then weight. Weight is too flexible. Pick something like distance or speed. Concentrate and award yourself on goals that are very solid and recognizable. What are some other goals you could go for? Higher up a mountain before you have to stop? Doesn’t matter how much I run…calories in, calories out! Even if they are “healthy” calories…they add up. Make sure you are keeping track…especially if this is a new change for you! Keep it up!!! Same thing happens to me. Your body is making changes. It will show up. Stick with it. Muscle weighs more than fat. It wool come off and your body will change. It’s only been two weeks. I want results immediately, but you have to put in the time and consistency. You CAN do this! You have to make the decision if you WILL. Definitely focus on inches lost & how much better you feel. Just remember muscle weighs more than fat. You’re burning fat when you run. But you’re also building muscle, so you won’t see a big change on the scale. But in today’s society, there’s so much stress on being thin. I think it’s garbage. I think a better way to look at is your fitness level. Think of where you started, and where you are now. Look at what you’ve done so far. Not only the running gets better, but you’ve also made some big life changes as well. Cutting out soda and drinking more water, better eating habits. It all ties together to make you better. It doesn’t all lie in a number on a scale. That’s just one minor factor in the grand total of everything you have done for yourself. Keep going and never give up. Relentless forward motion!! 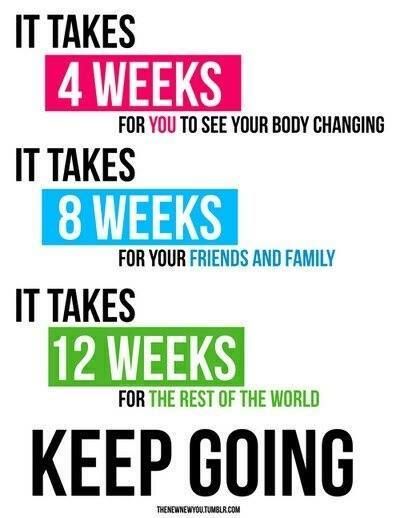 It’s not going to happen over night, give it time….What matter is that your are making changes to live a healthy life style..its easy to loose weight, the hard part is to stay in shape…Do things that are realistic and you know for sure you will be able to so for the rest of your life…!!! As time passes by you will see results..Dont be discaurage by the scale..its doesnt mean anything…You can do it!!!! Keep running and moving forward!!! I am there with you! Today is day 42 of running and I started out at 300 lbs. I lost 9 lbs the first week and the scale hasn’t budged in 6 weeks! I have stayed at 291 lbs! However, I have dropped 6″ in my waist and 7.5″ in my hips! Keep going..it is more than just the number on the scale! I banished my scale to the garage because it discouraging me. 🙂 Keep going! Stress produces cortisol, which then makes it hard to lose weight. Also, it can take a few months for your body to get used to the fact that it isn’t getting soda. So, know the results will come if you stick with it. Hang in there. You will see results. Pay more attention to how your clothes feel rather than the scale. In fact, don’t weigh yourself for at least another two weeks. The comments you are reading are not just fluff–many of us have lived it. The best way to judge your progress is by how you feel and how your clothes fit. Make sure you have included weight training in your workout schedule. You should also work in some other type of cardio (we like to spin once or twice a week). 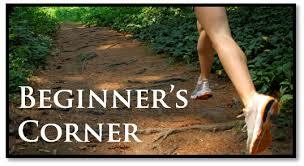 Finally, interval training is a great way to jump-start your metabolism and also makes the workout seem to go faster. 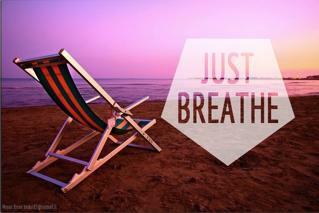 Just relax and enjoy the ride–you have made a life changing choice. WOO HOO! Girl, if you are over 250 lbs and out there running, well I’m damn proud of you!! Soo many overweight people don’t think they CAN run is they don’t TRY. Good for you! Just like the rest of the crew says, patience and forget the scale! I’ll be looking forward to seeing your amazing progress!! Don’t worry about it, just keep it up. I have the problem with the scale. Mine will drop a bit and then suddenly go up 5 pounds in a day. I don’t worry about it. Just keep training and staying with the plan, it will make a difference. Hide the scale. I suggest taking the before and after pics. You are going to lose a ton of inches. Just keep it up. I also quit drinking sodas. No sodas, even dt ones, has been about 3 yrs. What else? I eat a lot of veggies, some fruits, and make sure my protein is good. Always make sure you’re taking enough protein. Oh! I love my juicing! 🙂 I do green juicing! I ran for 8 months (couch to 5k and then 5k to 10k), ate better, and didn’t lose a pound. I finally gave up weighing myself. I noticed muscle where I didn’t have it before, which weighs more than fat. Places were toned and I was feeling more energized. It’s not all about the number. Scales are evil. Just keep up the good work and you will do it ! take measurements other than weight. Are your clothes fitting better? Are you feeling better? Do you sleep better at night? These are ALL improvements and eventually the weight will follow. Measure yourself and keep on keeping on. It took me almost a year to lose 45lbs. But it’s not ever coming back. Slow and steady always wins! This entry was posted in Question and Answers by Runners, Running Tips, Women's Running and tagged running weight loss.